Will Your Team Do The Right Thing? The big boss asks you for an update on a priority project. You have data that shows the team isn’t going to hit future milestones. Telling the truth means your team gets a lot more attention than desired by probing upper management. 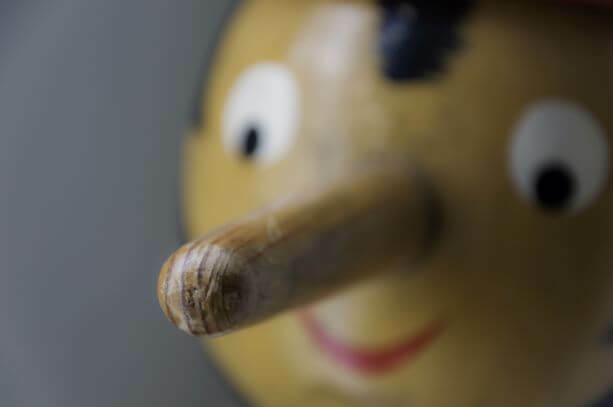 Withholding or spinning information (say it like it is: telling a lie) buys you time to come up with a miracle and keeps your colleagues out of the spotlight in the immediate future. Do you lie or tell the truth? Or try this one: Your team believes it has the solution the company needs to resolve a customer problem. Your challenge, however, is that if the idea is shared, people you don’t even know working in another part of the business will get all the credit (and a year-end bonus), but if the solution fails, your team will get the blame. So, do you speak up? Or keep your mouth shut? All of us would like to believe that we’re people of integrity, that we always do the right thing. But the fact is, only 10% of us consistently act in principled ways regardless of our circumstances, according to Lawrence Kohlberg’s theory of cognitive moral development. The majority of us? Our actions are determined largely by the situation or people around us. Whether you concur with Kohlberg’s theory or not, we can agree that organizations often suffer from a disconnect between what people say and what they actually do. That’s why your team has an opportunity to become a model for others. Most organizations simply group talented people together for a project or initiative and expect them to “do the right thing.” But what is the right thing? Particularly, what do teams do when they’re behind on a project, faced with a moral dilemma, or a rule or regulation stands between them and where they want to go? This is where you come in. Because here’s another fact: The people on your team either elevate their actions to higher levels of integrity because of the norms you’ve established – or, they’re called lower. Imagine that: People become better – or worse – human beings just because they’re on your team. Sound too idealistic? Not really, especially when you consider the alternative. Assuming people will do the right thing just because they wear a shirt with your company logo, or they’re in a position of authority, or because they get paid a lot, or because they have a degree from an esteemed academic institution, is a recipe for disappointment. Regardless of rank, education, or pay, people act the way people around them are behaving. Which means, most of us are far more likely to do the right thing when the people around us are doing the right thing. What is right and wrong behavior? Can we succeed by acting with integrity? What expectations do we have of ourselves for how we act under pressure? What do our ethics look like in the toughest moments? Your next meeting is the leadership moment your team may be craving: The chance to define what sort of heart your team possesses. Will your team do the right thing? Be the leader who builds a team that makes us better humans.